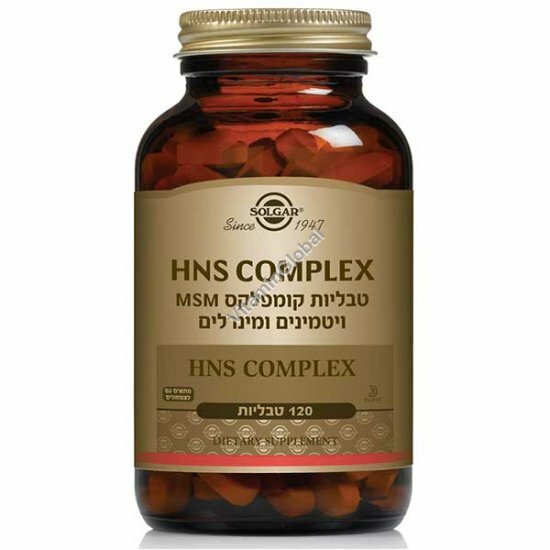 Solgar’s HNS Complex (Skin, Nails & Hair) formula is designed to help support collagen, a major component of skin, nails and hair that can decrease as we age. Delivering nutrients like Vitamin C and Copper internally may help support hair, nail and skin health. Instructions for use: As a dietary supplement for adults, take 1-2 tablets daily preferably with a meal. If you are pregnant, nursing, taking any medications or have any medical condition, please consult your healthcare practitioner before taking any dietary supplement. Keep out of reach of children. Store at room temperature.